Fly fishing the Madison River with our Montana fly fishing guides is a blue ribbon trout fishing experience on one of Montana’s classic trout rivers. 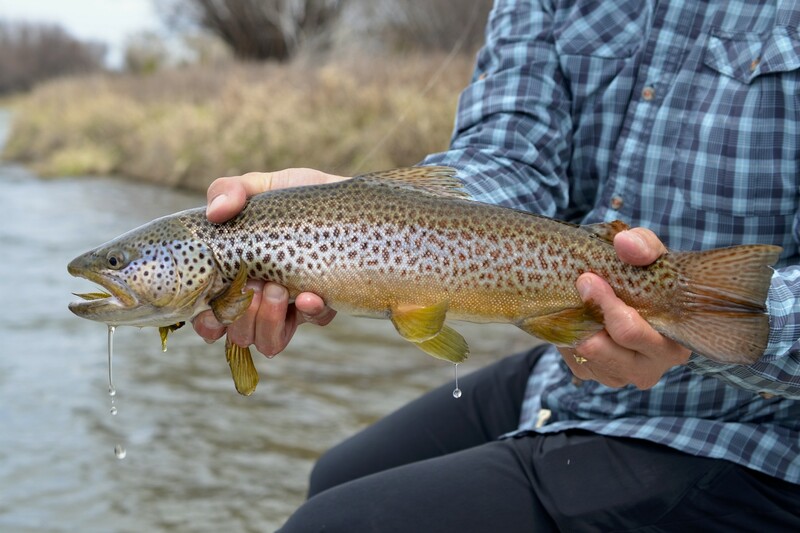 The Madison River is a great day trip option for anglers staying in Bozeman, Montana, Ennis, Montana, Big Sky, Montana, and Livingston, Montana or a great part of a multi-day fishing package for anglers statewide. Thick hatches, high trout per mile numbers, majestic scenery, abundant wildlife, and our experienced guides make fly fishing the Madison River a great part of any trip to Montana. Our guides feel strongly that the fly fishing the Madison River is one of the classic Montana fly fishing experiences every angler should experience. The fly fishing opportunities on the Madison River are diverse. Wade fishing and float fishing are both great options. Thick hatches that cycle throughout the year make for excellent dry fly fishing, nymphing, and streamer fishing year round. The summer months of June, July, and August are primetime for our anglers and Montana fly fishing guides on the Madison River. Reliable hatches of stoneflies, caddisflies, mayflies, and terrestrials can make for some of the most exciting fishing of the year. Anglers can expect great fishing throughout the summer that appeals to beginner and seasoned anglers alike. Spring and Fall fishing on the Madison is some of our favorite of the year. While the hatches are not as prolific, angling pressure is minimum and at times it seems like you have the whole river to yourself. Many of the largest fish of the year are caught in April and October when the summer crowds clear out and the big rainbow and brown trout go on the feed. Anglers fishing the Madison in the Spring can expect cooler weather, a quiet river, and a great fly fishing experience. Anglers come from all over the world to fly fish the Madison River in Montana and for good reason: blue ribbon trout fishing set in one of Montana’s most scenic mountain valleys. The Madison is a great Spring, Summer, and Fall option for any Montana guided fly fishing trip.